The family of fallen IDF soldier Oron Shaul, whose body is being held by Hamas in Gaza, urged Prime Minister Benjamin Netanyahu on Friday not to agree to a ceasefire agreement with the terror group if it does not include the return of their son’s remains. The family plans to protest outside the Israeli Security Cabinet’s meeting on Sunday, during which the ministers will discuss the wide-scale arrangement on the Gaza Strip. The ministers will be briefed on the discussions held under the auspices of UN Middle East envoy Nikolay Mladenov and the Egyptians. 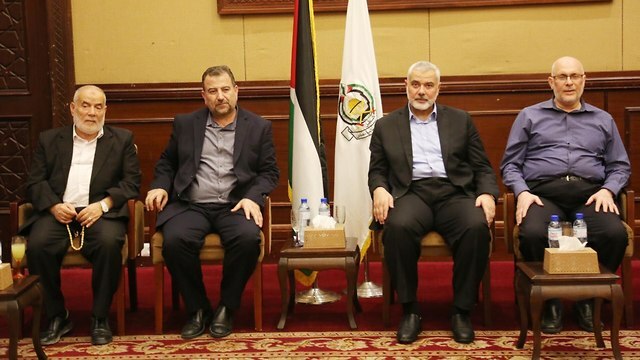 Hamas’s political leadership is meeting in Gaza on Friday to discuss the possible ceasefire deal, which is reported to include a sea port and an airport for Gaza in Egypt and the improvement of living conditions in the strip. “We will preface by saying that any agreement that does not include the return of Oron, Hadar (Goldin), Avera and the other citizens (being held by Hamas) will not be worth the paper it’s written on, or alternatively the understandings and verbal promises being made. Remember, this will all come back to us like a boomerang,” the family warned. 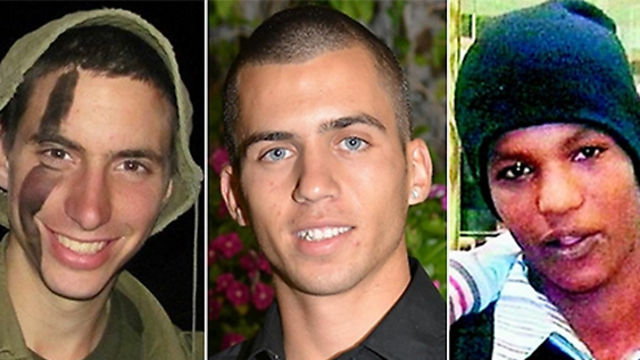 IDF soldiers Shaul and Goldin were both killed during Operation Protective Edge in the Gaza Strip in the summer of 2014. Hamas has been holding their bodies ever since. Hamas is also holding two Israeli citizens who accidentally entered the strip—Avera Mengistu and Hisham al-Sayed, both of whom are believed to be alive. “For this agreement to have any practical and moral validity, the first article must be the release of our sons. Only then will the agreement be strong and worthy,” the family asserted. Turning back to the prime minister, the family wrote: “You and we know the truth—if you had acted with a clean conscience, a pure heart and without foreign considerations, such as the electorate and political agenda—we would have had our sons back in their homeland a long time ago. Professor Simcha Goldin added that Israel’s interest should be first and foremost bringing back its soldiers. “Ahead of the Security Cabinet meeting on Sunday, there are plenty of rumors … We won’t let the money reach Gaza before the soldiers are returned. 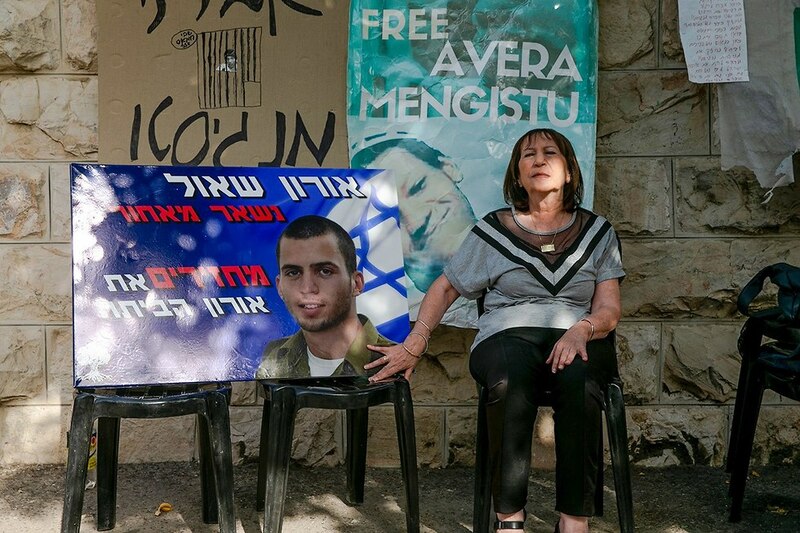 The interest of the State of Israel is first and foremost to bring back the soldiers. It is clear to everyone, except for the prime minister and this needs to change. “The UN envoy to the Middle East Nickolay Mladenov is responsible for the fact that Hadar is still not with us. Hadar was kidnapped during a ceasefire that was mediated by the UN, therefore the UN is responsible for bringing him back,” Goldin concluded. According to Lebanese newspaper Al Akhbar, the first stage of the ceasefire agreement will come into effect within a week and will include an end to “March of Return” protest activities on the Israel-Gaza border. In return, the Kerem Shalom border crossing will resume activity and the Rafah border crossing with Egypt will be reopened on a more permanent basis. The second stage will include the improvement of living conditions in the Gaza Strip and the complete removal of the blockade, according to the Lebanese paper. Israel will allow the transfer of goods into the strip and increase the electricity it provides Gaza. Among the other incentives to the Palestinians in the plan is increasing the power supply to the strip to four additional hours a day, $31 million in aid from Qatar, and $91 million in aid for UNRWA. In addition, $10 million will be transferred to the strip to pay salaries to Palestinian Authority employees in the Gaza Strip.